1970 Pro Street Chevelle Blown First Start After Rebuild! Here are not too many things on this life that can give you the satisfaction of hearing it roar for the first time, and to do so on a vehicle that you have given probably hundreds of hours of labor to, really makes things special. 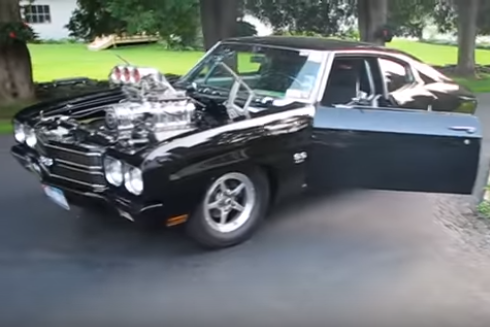 Today we bring you the first breaths of a 1970 Chevrolet Chevelle with an Electronic fuel injection, and one huge supercharger strapped to the top of the engine. Clearly some will tend to consider this a very expensive toy but that can only be done of the people that have a bunch of cash laying around and they throw it at somebody that will build it for them, but to do all of it yourself, brings a totally different feeling to the whole deal. So this is why we are proud to present you with the inaugural startup of this extremely clean machine which provides one of the best soundtracks we have heard in a while.